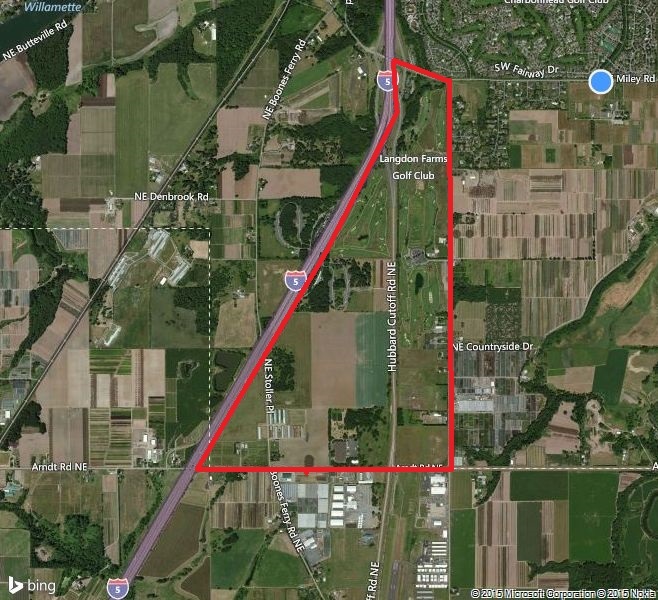 Have you read about Aurora, Oregon’s land reserve boundary emergency as found in Oregon House Bill 3313 yet? From a point of beginning at the intersection of the western right of way of Interstate 5 and the northern right of way of Southwest Miley Road, thence easterly along the northern right of way of Miley Road to a point of intersection with the eastern right of way of Airport Road Northeast; thence southerly along the eastern right of way of Airport Road Northeast to the southern right of way of Arndt Road Northeast; thence westerly along the southern right of way of Arndt Road Northeast to the intersection with the western right of way of Interstate 5; thence northerly along the western right of way of Interstate 5 to the point of beginning. Read Oregon House Bill 3313 bill here, or click the image below.